The Adirondack Park Agency (APA) is accepting public comment for a proposed amendment to the Hammond Pond Wild Forest and Port Henry Boat Launch Unit Management Plan. 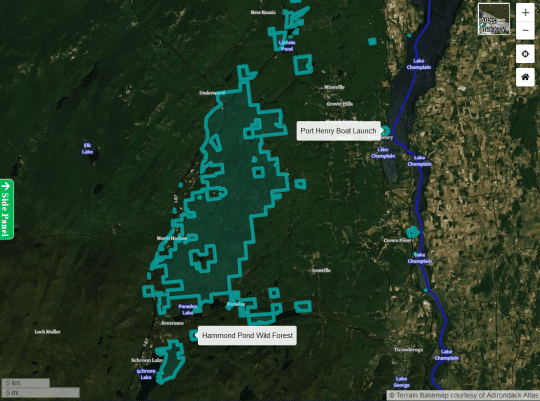 The plan covers nearly 50,000 acres of Wild Forest designated “forever wild” Adirondack Forest Preserve land and includes a segment of the interstate North Country Scenic Trail and a controversial boat launch on Eagle Lake on Route 74 west of Ticonderoga. Jack Drury’s recent essay promoting the use of E-bikes opens with the challenge facing an older but reasonably well conditioned body attempting to keep up with younger bicycle riders. Jack articulates well what many of us baby boomers are feeling as we take up a ski, paddle, hike, or bike with younger friends and colleagues. We think we are reasonably fit, but how to keep up? Especially, as Jack wondered, on the uphill sections? » Continue Reading. 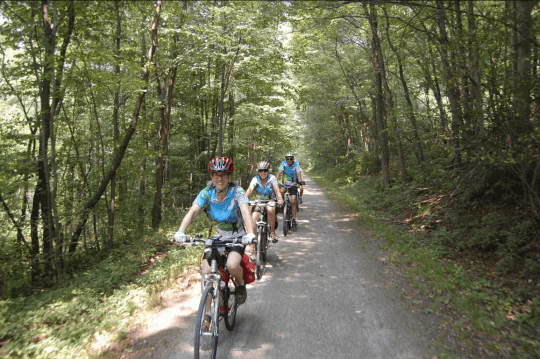 Thanks to Governor Cuomo and his environmental agencies (APA and DEC), the long-awaited Adirondack Rail Trail has overcome legal roadblocks and is back on track. 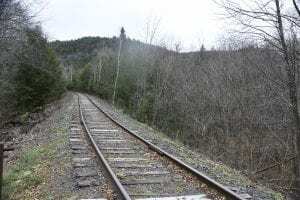 This means that Tri-Lakes residents and visitors should soon reap multiple benefits from the scenic travel corridor (the publicly owned rail bed) connecting Lake Placid, Saranac Lake and Tupper Lake. » Continue Reading. Headlined at this month’s meeting of the Adirondack Park Agency was a vote by the APA members to amend the Adirondack Park State Land Master Plan (SLMP) to allow Rail Trails to be added to the definition of a Travel Corridor, and to support a rail trail in the SLMP’s Travel Corridor management guidance. Prior to the APA decision, which like all Master Plan amendments must be ratified by the Governor, rail trails were not defined or authorized under the SLMP’s Travel Corridor overlay classification. Travel Corridors applied only to the strip of land constituting the roadbed and right of way of state and interstate highways and the Remsen to Lake Placid railroad right of way, as well those state lands immediately adjacent to these facilities. Such facilities had to be transportation related- not just recreational. » Continue Reading. 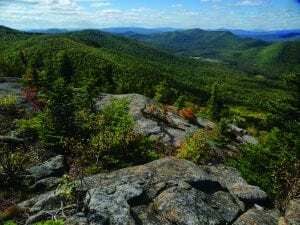 The New York State Adirondack Park Agency has recommended approval for an amendment to the Adirondack Park State Land Master Plan (APSLMP) to change the Travel Corridors classification category definition, the guidelines for management and use, and amendments of related provisions. The Agency’s recommendation will move to Governor Andrew Cuomo for his approval. The Agency issued the following news release Friday afternoon. 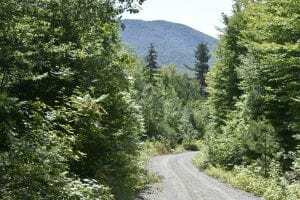 You can read more about the rail trail controversy here at the Adirondack Almanack: » Continue Reading. 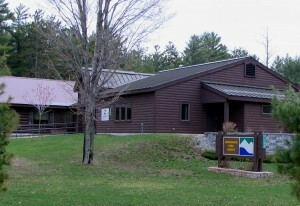 The Adirondack Park Agency (APA) will hold its monthly meeting at its headquarters in Ray Brook, NY on Thursday, December 13th and Friday December 14th, 2018. Both meeting days will begin at 9:30 am. 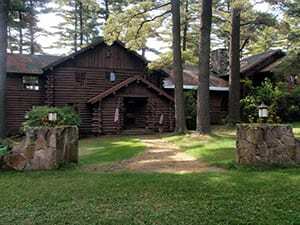 The meeting will address the Lyme Timber Company forest management project; consideration of authorizing a public comment period regarding State Land Master Plan conformance for proposed Ski Trail Guidance; a presentation from Dan Josephson from Cornell University; discussion on State Land Master Plan conformance; and more. » Continue Reading. 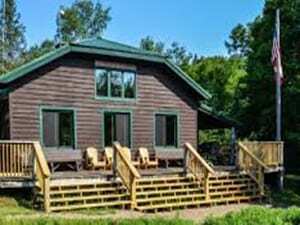 The Adirondack Park Agency (APA) will hold its monthly meeting at its headquarters in Ray Brook, NY on Thursday, September 13th, 2018. The meeting will address a variance request to expand a single-family dwelling located within the shoreline setback of Fern Lake; consideration of a State Land Master Plan conformance public comment period for a proposal to amend the Department of Environmental Conservation’s generic campground unit management plan; a discussion on the Agency’s policy on Renewable Energy Production and Energy Supply; and more. What follows is the agenda issued by the APA: » Continue Reading. 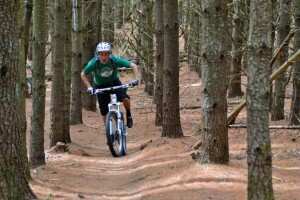 The Adirondack Park Agency (APA) and Department of Environmental Conservation (DEC) recently approved guidelines for mountain bike facilities on “forever wild” Adirondack Forest Preserve lands. 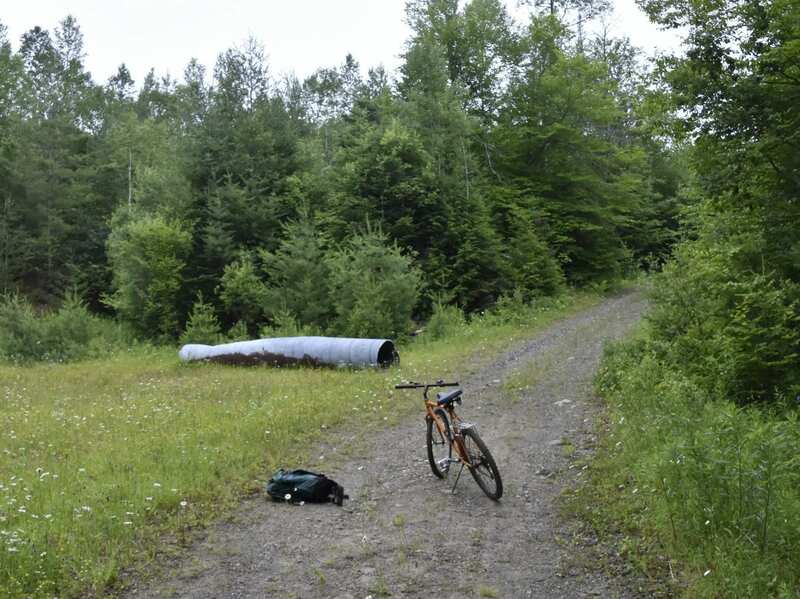 The document, Management Guidance: Siting, Construction and Maintenance of Singletrack Bicycle Trails on Forest Preserve Lands in the Adirondack Park is expected to assist DEC in planning bicycle trail networks on Forest Preserve lands classified as Wild Forest. » Continue Reading. Now that the classifications are decided and amendments to the unit management plans (UMP) are underway, the process seems highly accelerated and rushed. » Continue Reading. 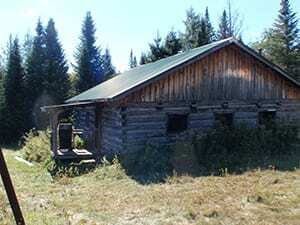 The final report issued by Adirondack Community-based Trails and Lodging recommends four instances where Forest Preserve lands were included for “hut” locations as necessary stops for one of their proposed 59 hut-to-hut trips. » Continue Reading. The management of historic buildings on the Forest Preserve has been a vexing issue for decades. State management has evolved over the years from a position of building removal to now accommodating historic buildings on the Forest Preserve through the creation of a “Historic” area classification. The state has since built a policy of retaining buildings for public educational and historic preservation purposes. » Continue Reading. The pressure by local governments and historic preservation groups on the state to keep the inner Gooley Club buildings shows some of the challenges the state has had in organizing a coherent management program for buildings on the Forest Preserve. This is not a new issue. It’s been a struggle for decades. Different administrations have dealt with the issue in different ways over the decades; some making ad hoc choices with long-term implications for Forest Preserve law and policy, and others trying to sort out durable long-term solutions. This is the first of three articles that look in depth at the issue of buildings on the Forest Preserve. » Continue Reading. The New York State Adirondack Park Agency (APA) has proposed an amendment to the Adirondack Park State Land Master Plan (APSLMP) changing the Travel Corridors classification category definition, the guidelines for management and use, and amendments of related provisions. The APA will accept public comment until May 7, 2018. Three public hearing sessions will be held on April 11, 24 and 25, 2018. What follows is an announcement sent to the press by the APA, Phil Brown has much more of the story here. » Continue Reading. News of a helicopter sightseeing tour operating out of Lake Placid spawned much discussion this past summer. Unlike a traditional scenic airplane flight high above the landscape, this business promised ridge-running flights at low altitudes above protected Wilderness Areas, as well as aerial safaris in which backcountry wildlife would be buzzed in their natural habitats — all for the thrill of a few paying customers. This was scary enough for those of us who routinely visit the Forest Preserve for our weekly dose of wildness. But then in the September/October 2017 issue of the Adirondack Explorer, John Sheehan of the Adirondack Council suggested that in the Wild Forest areas, “it may be appropriate to fly in some places at lower heights” — with the stipulation that “some sensitive areas” should be avoided “as much as they can.” » Continue Reading.